Jamie Smith, MSN, FNP-C, is a Family Nurse Practitioner with a clinical focus in orthopaedics. She provides orthopaedic assessments, treatments, and education. friendly ,also informative.she,take the time listening to you about your concerns. Courteous and professional. Seemed concerned for my well being and made recommendations to help expedite the healing process. Shot didn’t hurt, great job. Very pleasant, easy on my anxiety. Very professional. Jamie, like everyone at the clinic, does a good job of taking care of my needs. 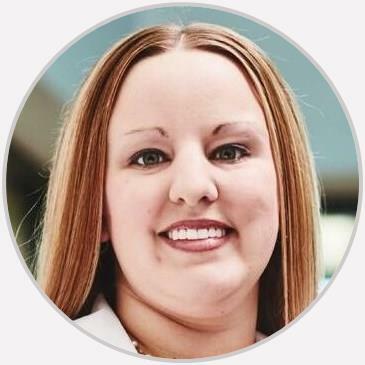 Jamie Smith, MSN, FNP-C, is a Family Nurse Practitioner that graduated from Maryville University, St. Louis, MO with a Master of Science in Nursing/Family Nurse Practitioner. She is board certified by the American Academy of Nurse Practitioners as a Family Nurse Practitioner. Her clinical focus lies in orthopaedics; providing orthopaedic assessments, treatments, and education. Jamie is a member of the American Academy of Nurse Practitioners [AANP] and Illinois Society for Advanced Practice Nursing [ISAPN]. She is also a member of Sigma Theta Tau International Honor Society of Nursing, Maryville Chapter. Jamie has been a Registered Nurse since 2011 and has experience in orthopaedics, newborn nursery, and women’s health. Born and raised in southern Illinois, she is proud to be able to provide care to individuals in the community.